Russia is waiting for international condemnation of actions of the US-led international coalition in Aleppo province, Foreign Ministry Spokeswoman Maria Zakharova stated on October 19, Interfax news agency reports. “We expect an adequate reaction of the international coalition, of course of Belgium, international institutions, which were so much concerned about the Russian Aerospace Forces strikes in Aleppo,” she said. According to her, if such a reaction won’t take place, Moscow “will have no other option but to view everything that is happening now as an attempt to preserve the gangs (of terrorists – Editor) in Syria”. 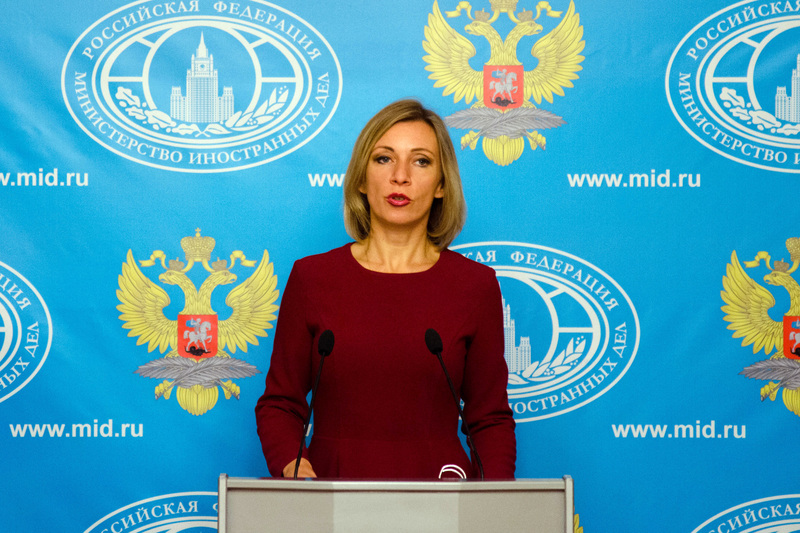 Zakharova added that if the fact of the attack will remain unnoticed, the conclusion is as follows: “The whole informational story has nothing to do with the situation of civilians in Aleppo.” “It means,” Zakharova continued, “That everything is revolving around preserving “Nusra” and preventing elimination of terrorist gangs in Aleppo by Russian Aerospace Forces”. In the evening of October 18 Russian Defense Ministry informed that Hassadzhek village near Aleppo was hit by an airstrike. Two houses were destroyed as a result, six people were killed, another four were injured. Russian military emphasized that Russian or Syrian aircraft were not present in the area, while the aviation of the international coalition was active there. Two F-16 of Belgian Air Force were registered in the area. On Wednesday Defense Minister of Belgium Steven Vandeput denied that Belgian aircraft was present in the area. This entry was posted in News from the Middle East and tagged Aleppo, Belgium, Russia, Syria, USA. Bookmark the permalink.